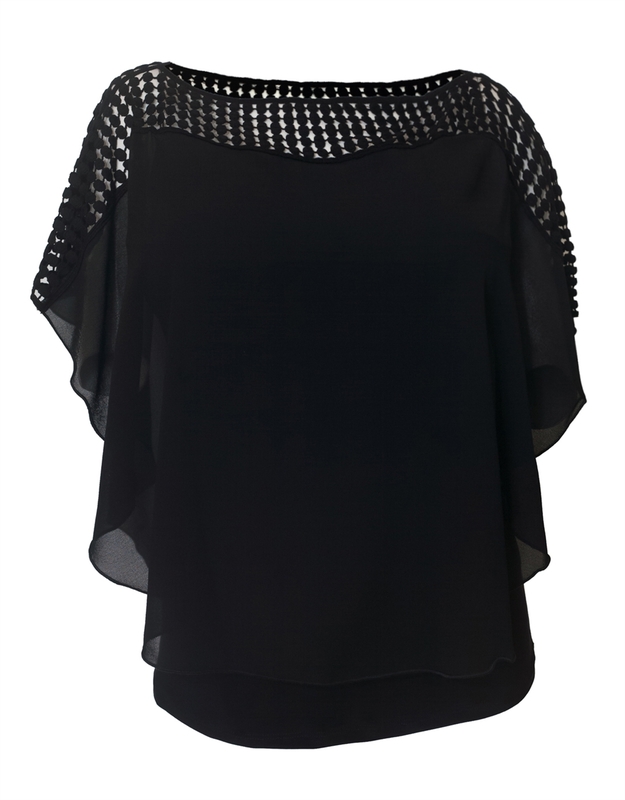 This plus size top offers the perfect blend of comfort and style. Plus size blouse features scoop neck styling. Dual Layer design with inner tank top layer and outer poncho layer, Polyester blend. Wear it over one of our flowing skirts to complete your outfit. Available in 1XL= Size 13/14, 2XL=Size 15/16, 3XL=Size 17/18.